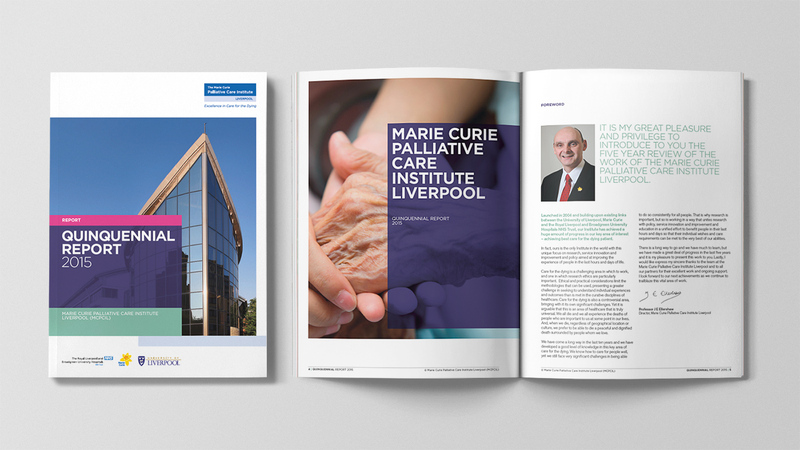 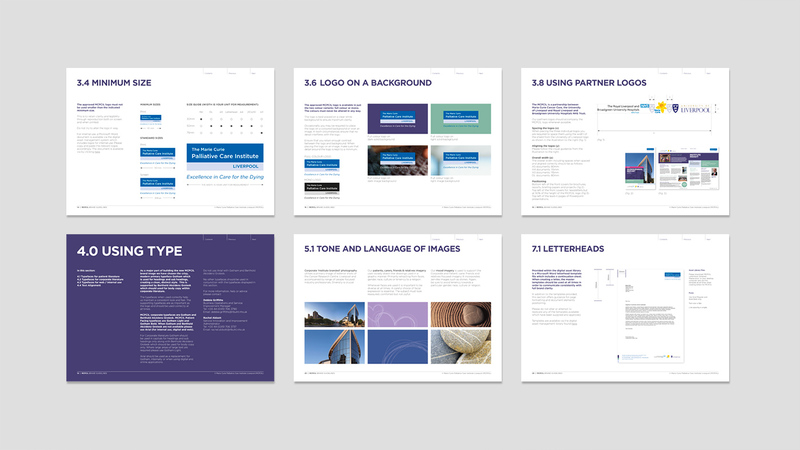 Creating a sensitive healthcare branding system for Marie Curie, University of Liverpool and Royal Liverpool and Broadgreen University Hospitals NHS Trust. 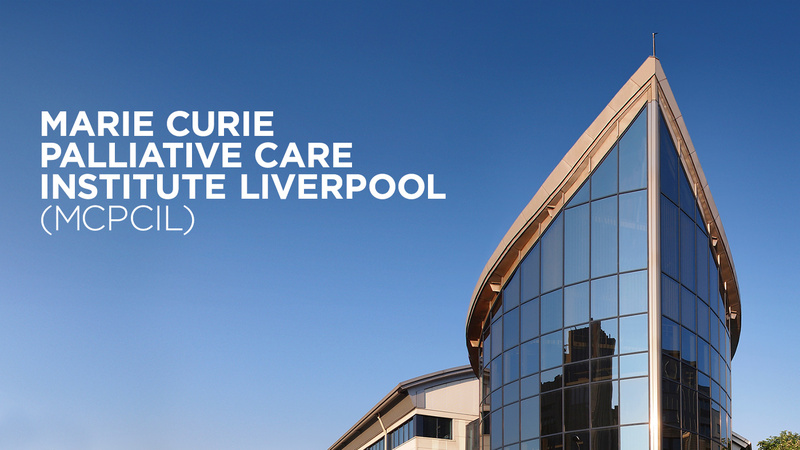 The Marie Curie Palliative Care Institute Liverpool (MCPCIL), University of Liverpool, was established in 2004. 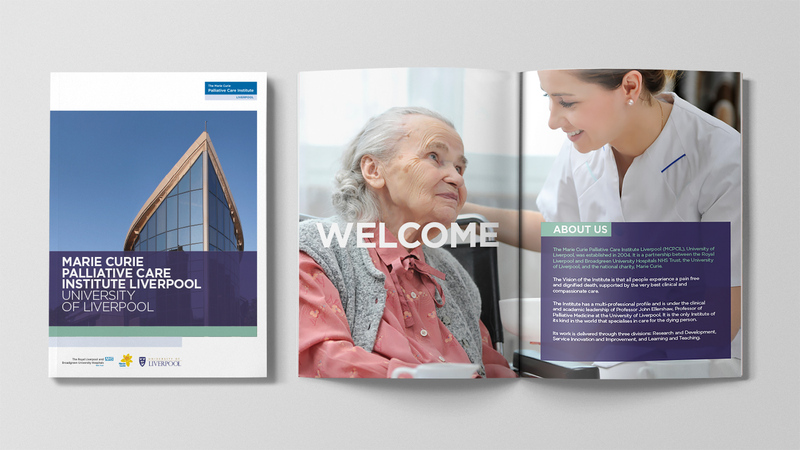 The Vision of the Institute is that all people experience a pain free and dignified death, supported by the very best clinical and compassionate care. 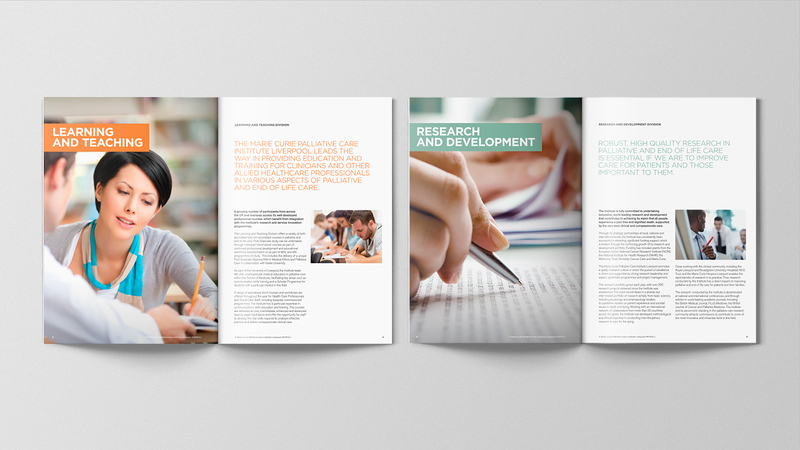 Its work is delivered through three divisions: Research and Development, Service Innovation and Improvement, and Learning and Teaching. 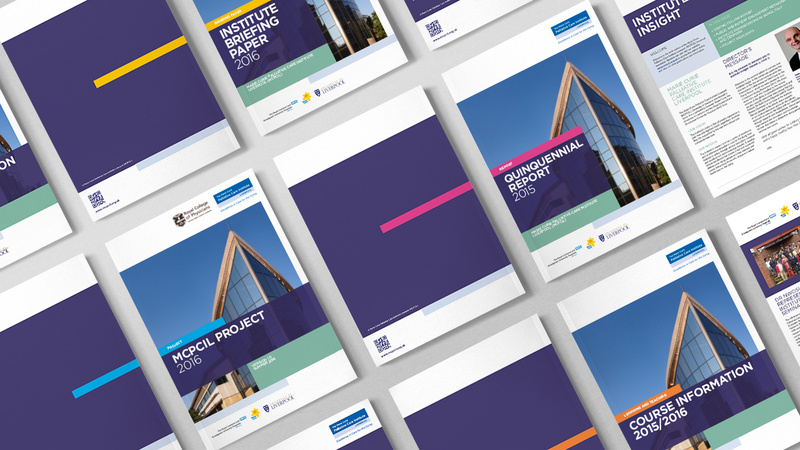 O’Connell & Squelch were approached to create a healthcare branding system for a vast suite of literature and marketing communications to modernise the organisation whilst retaining the already well-established logo. 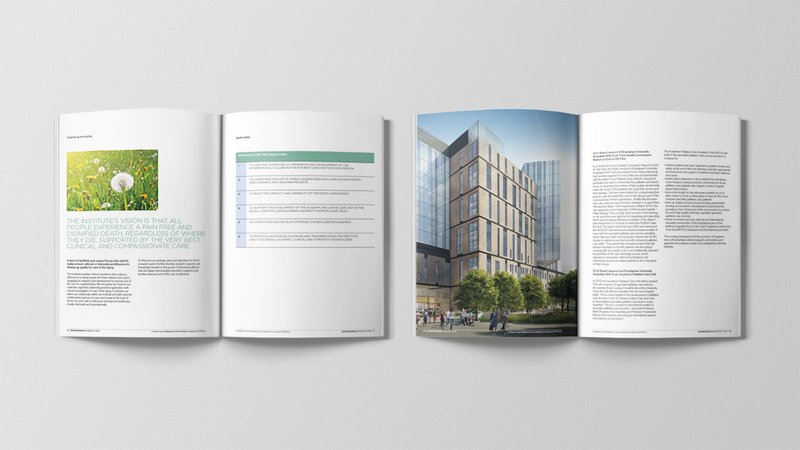 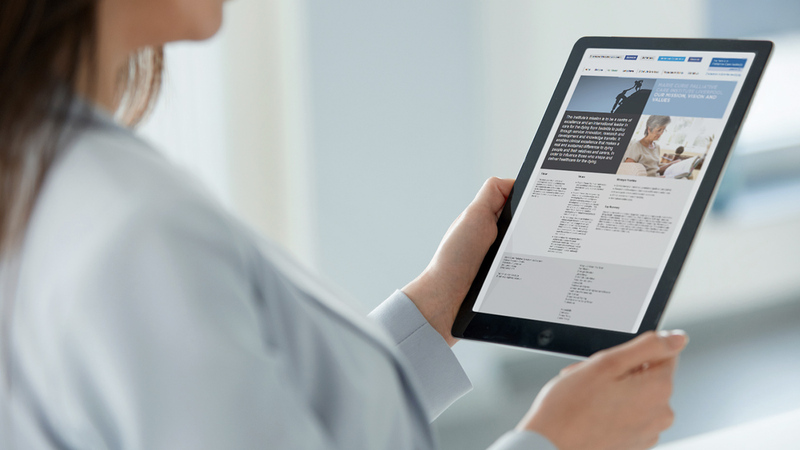 Our brief was to create a graphic system that enables internal and external stakeholders to visually differentiate between each publication without being absolutely repetitive. 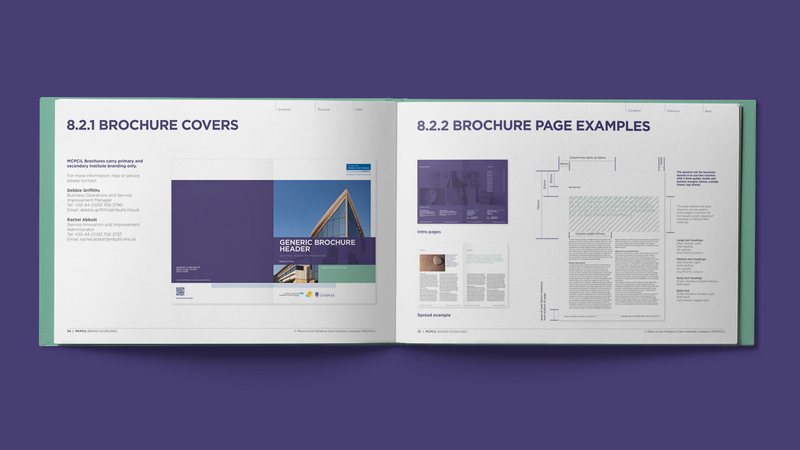 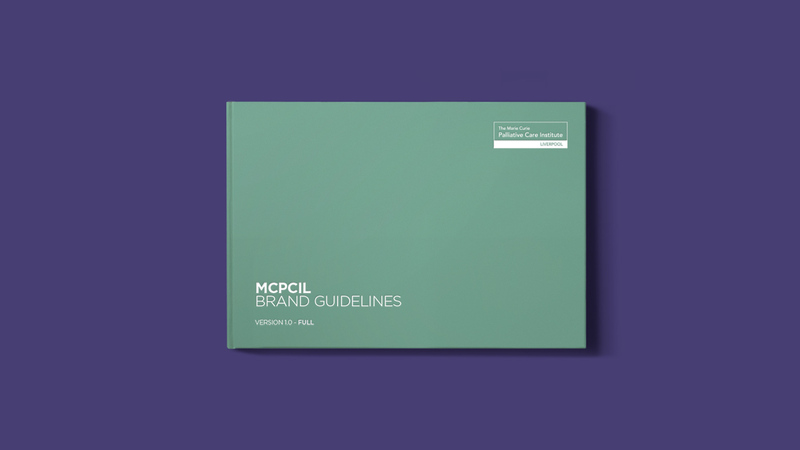 Our solution is a branding system that uses both ‘house’ and distinct colours plus cover layout changes across a large variety of document types. 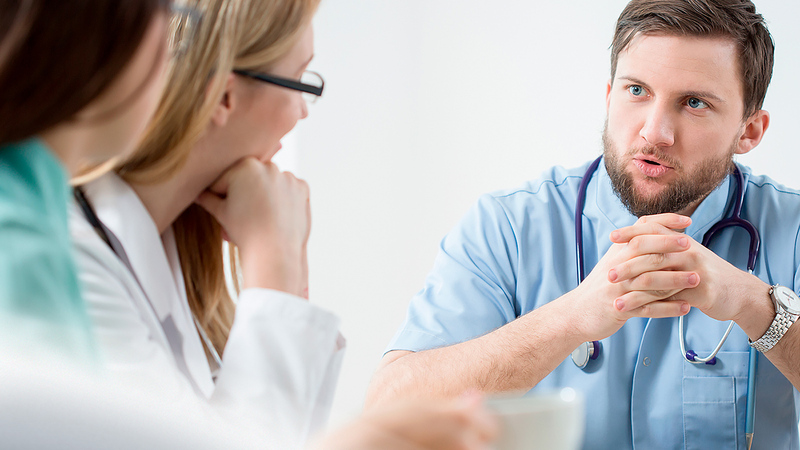 This naturally presents a challenge as there is a risk of losing identity. 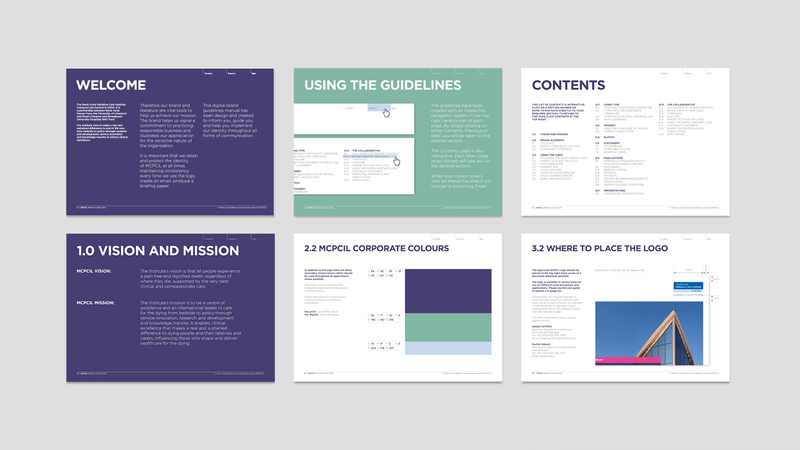 Controlled colour pallets, graphic styles, typography and consistent logo use creates a suite of literature that is instantly recognised as part of the organisation.